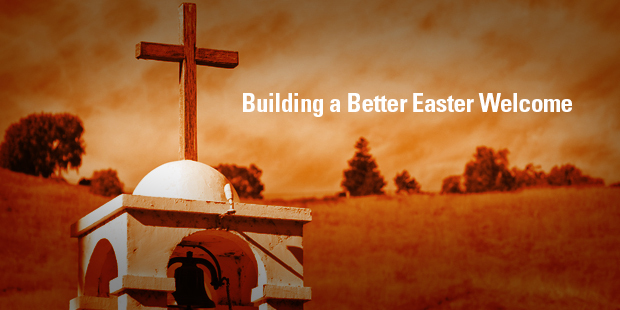 Easter services are among the most important events at your church each year. You not only celebrate the resurrection of Christ, but you also have one of the best opportunities all year to reach new people. In chapter 14 of The Purpose Driven Church, I shared some ideas on how you can improve the guest experience at your church. With Easter coming up, I’ve put together this checklist to help you prepare for the big day. Include a map of your church on all advertising. A small map can provide clarity, especially if mapping apps can’t locate your church accurately. Create a system to give guests the best parking spots. At Saddleback, we have a sign at our property entrance encouraging guests to turn on their headlights if they want a reserved parking spot. Then our parking team directs them to spots near the worship center. Make sure you have clear signage. Show people how to find the most important places on your campus, including restrooms, information tables, coffee/snacks, kids ministry, and student ministry. Prepare greeters to welcome your guests. The first people your guests see on your campus ought to smile and welcome them warmly. If you already have an established greeter ministry, remind your greeters of the importance of their role on Easter. Offer children’s programming simultaneously with each service. Guests generally don’t want to deal with wiggly kids (either theirs or anyone else’s) during the service. 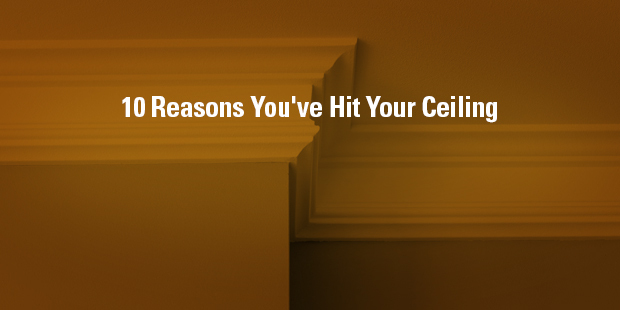 Ensure your building is sufficiently bright. Most church buildings are too dark. Brighten up your environment and watch your service come to life. Set up an info table. Give name badges to these volunteers so your guests know where to go with their questions. Try to anticipate the most common questions guests might have. (Where are the restrooms? Where do I take my child? How do I get into a small group?) It’s also helpful to have basic information available in printed form for guests to take with them to review later. If you already have an info table, make sure it is well stocked and ready to go. Allow guests to remain anonymous. Avoid doing anything that makes them stand out. Pass out welcome cards or bulletins to everyone. When everyone gets a card, guests aren’t singled out. Provide some refreshments. Food relaxes people. Almost everyone loves a donut, but also offer some healthy (or semi-healthy) options. If you can’t get food, at least try to provide coffee. Have recorded music playing when people get inside the building. Music puts people at ease. We’ve noticed that the louder the background music is, the more animated people are when they talk. Begin and/or end your service by asking attendees to greet one another. It’s a great way to help guests feel like they belong. Print out a simple order of service. When possible, use straightforward, non-religious terms that people understand even if they’ve never been to church. Look for ways to save time during the service. Most of your guests have short attention spans. Have the components of your Easter service written down for your team, with an expected time for each element. Trim that time as much as you can. Keep your public prayers short. Unchurched people can’t handle long prayers. Their minds wander. Structure your music for IMPACT. We try to follow this flow for our worship music. Inspire Movement: An upbeat song that makes you want to clap or stomp your feet. Praise: Joyful songs about God. Adoration: More meditative, intimate songs sung to God. Commitment: A song that gives people an opportunity to affirm or reaffirm a commitment to God (usually in the first person). Tie it all together: Another short, upbeat song to end the service. Print this checklist out and talk about it with your team. What’s missing? Call three to five guests to your church from the last six months, and ask about their impressions—both positive and negative. If you leave a message, follow up with an email to ask for their feedback. Take what you’ve learned and let that influence your plans for Easter. There’s a lot on this list, which will be even longer if you and your team include additional items! You may not be able to address all of these issues. Which issues are critical for your church? In what ways is God calling you to prepare? > Read more from Rick Warren. Church Attendance is Not a Chore. It’s a Gift. In Nehemiah 5, the Israelites faced conflict for one of the same reasons we do today: selfishness. 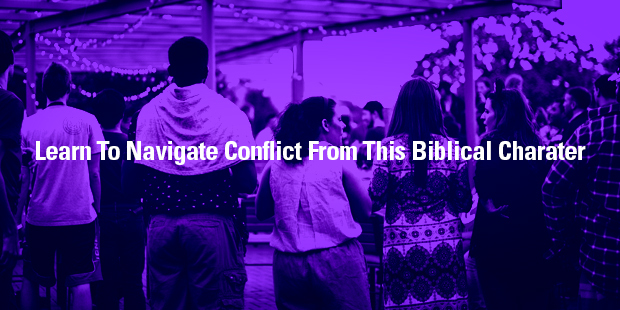 So, what can we learn from Nehemiah about handling conflict? Nehemiah didn’t ignore the problem; he took it seriously. When the unity of your church gets challenged, it’s your job to protect that unity. It’s serious business. In times like this, a certain level of anger is completely appropriate and right. Leadership means knowing the difference between the right kind of anger and the wrong kind of anger. You should get angry when disunity threatens your church, but you have to think before you act. You can’t just act on that anger. James 1:19-20 says, “Everyone should be quick to listen, slow to speak and slow to become angry, because human anger does not produce the righteousness that God desires” (NIV). I’ve seen a lot of leaders who were highly effective for the Lord blow their ministry in an impulsive moment. Don’t let that happen to you. Get angry, but then take some time to think and pray about what to do next. Go directly to the source. You don’t deal with somebody else about it. You don’t talk with five or six different people to get everybody on your side. You don’t say, “I’ve got a prayer request . . .” and then spout it out. Instead, you go directly to the person causing the disunity. Nehemiah did that: “I pondered them in my mind and then accused the nobles and officials. I told them ‘You are exacting usury from your own countrymen!’” (Nehemiah 5:7 NIV). Nehemiah wasn’t making a polite social visit. He was angry, and he didn’t gloss over the fact that these guys were ripping off other people. He wasn’t watering it down. He was confronting the troublemakers. You and I are called to do that, too, when disunity threatens our churches. Titus 3:10-11 says, “Warn a divisive person once, and then warn him a second time. After that, have nothing to do with him. You may be sure that such a man is warped and sinful; he is self‑condemned”(NIV). Warning troublemakers is an important task of ministry. In Nehemiah’s situation, everyone knew that the rich people were ripping off the poor. He had to deal with it publicly. Nehemiah 5:7 says when going privately to the rich officials didn’t work, he called together a large meeting to deal with them. It must have been a tough conversation because it was probably the rich officials paying most of the expenses to rebuild the wall. It took guts to confront them publicly. You, too, have to deal with problems to the degree that they are known. If the problem has spread to the whole church, then you have to deal with the problem publicly. Nehemiah led the way in unselfishness. It was the foundation of his leadership. When he asked them to rebuild the wall, he was out on the wall rebuilding it. When he asked them to pray, he had already been praying. When he asked them to work night and day to get it built, he did the same. When he asked them to help the poor, we find out in verse 10 he’d already been doing it. Nehemiah never asked anyone to do what he wasn’t already doing or wasn’t willing to do. Leaders only ask others to do what they are already doing or are willing to do. If you cannot challenge someone to follow your example, whatever you say to them is going to lose its impact. Churches have fewer conflicts when their leaders live unselfishly and model that to the congregation. You’re going to have disagreements in your church. There’s no perfect church. But God wants us to minimize disunity in our churches for his glory. The testimony of a church should not be the beautiful buildings, great sermons, or lovely music, but how the people love one another. There’s no such thing as instant spiritual growth; it’s a gradual process of development. The Bible says, “So let us stop going over the basic teachings about Christ again and again. Let us go on instead and become mature in our understanding” (Hebrews 6:1 NLT). Spiritual growth is a journey, and that means it takes time. Sure, we want to speed up the process, but we can’t. It’s a lifetime journey where God teaches us one lesson at a time to develop our character so we become more like Jesus. At the core of this journey are disciplines that help us grow spiritually. These disciplines—or habits—aren’t new; they’ve been around for thousands of years. We are the sum of our habits. 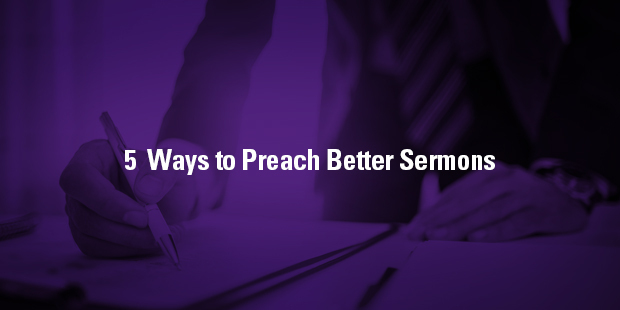 Here’s the truth: You can preach the greatest sermons in the world, but your congregation won’t grow deeper spiritually until you help people learn how to practice spiritual habits on their own. At Saddleback, we focus on spiritual habits in CLASS 201. We teach four specific habits that are essential to every growing Christian. These aren’t the only habits that help you grow spiritually, but they are the most important. Read the Bible daily. The people in our churches desperately need truth. Truth sets us free—free from worry, free from the expectations of others, free from guilt, etc. Jesus said this in John 8:31-32, “You are truly my disciples if you remain faithful to my teachings. And you will know the truth, and the truth will set you free” (NLT). Since the Bible is the best and most reliable source for truth, we must encourage people to get into God’s Word on a daily basis, to help them find freedom and grow as Christians. You simply can’t grow spiritually apart from the Bible. Pray daily. Disciples spend time with Jesus. God’s Word tells us in John 15:7-8, “If you remain in me and my words remain in you, then you will ask for anything you wish, and you shall have it . . . and in this way you become my disciples” (GNT). We become disciples by bearing fruit. We bear fruit by remaining in Jesus—and having his words remain in us. We listen to God through his Word, and we talk to God through prayer. To grow spiritually, we need both habits in our lives. Tithe weekly. Tithing reminds us that everything we own belongs to God. He doesn’t just own that first 10 percent. He owns it all. If God isn’t Lord of our possessions, he isn’t Lord of us. Too many people sitting in our churches are possessed by their possessions. Learning to tithe helps people hold what they have loosely and put God first in their lives. Fellowship weekly. We all need other believers in our lives to help us grow. Weekly worship services aren’t enough. Significant relationships don’t develop when people just attend corporate worship. People need opportunities to talk and engage with others. At Saddleback, we believe small groups provide the best environment for people to build the healthy relationships that will help them grow. Like I said earlier, there are no shortcuts to spiritual growth. While we worry about how fast people grow, God is concerned with how well they grow. When God wants to make a mushroom, he takes six hours. When God wants to grow an oak tree he takes 60 years. Do you want your people to be mushrooms or oak trees? Teach your people the four habits above, and they’ll grow into oaks. Whose Vision Is it Anyway? You hear ministry leaders talk all the time about what a church needs to grow. Some say it’s preaching. Some say you need a great location. Others suggest you need a vibrant ministry to children or youth. All of those aspects are important for a healthy, growing church. But I don’t think they are what’s most important. You start with leadership. Everything rises and falls on leadership. I see churches in great locations that struggle because of bad leadership. I see churches with great preaching struggle because of poor leadership. Leadership matters. And leadership rests on vision. Charisma doesn’t make a great leader. Vision does. In fact, communicating vision is your number one job as a leader. As a pastor, you need to continually clarify the vision of your church. It gets harder and harder (but more and more important) as you grow. But where do you get vision that will propel your church forward? You have to get vision from the Holy Spirit. God’s vision never wears out. His vision will never fail. His vision is better and grander than anything we can think up. And his vision is exactly what our churches need. How does God communicate his vision to us? 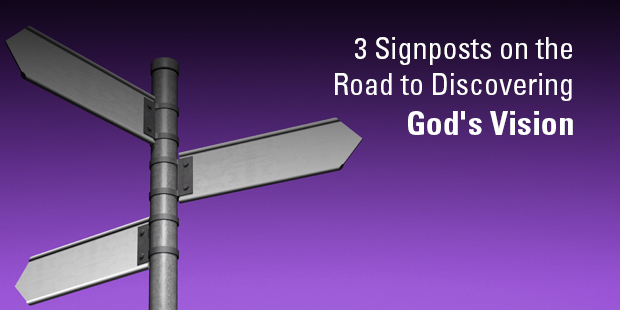 I’ve discovered through the years that God tends to share his vision with me in three stages. 1. God tells me what he’s going to do. To figure out what God wants you to do, start with what God says in the Bible about what the church is supposed to do. Your church isn’t your church. It’s Jesus’ church. He founded the church, died for the church, sent his Spirit to guide the church, and someday will return for his church. He has already declared what the church is supposed to do. The purposes of the church are non-negotiable. So start with the purposes of the church that God defines in the Bible. And then ask God to tell you how he wants to apply those purposes to your church. 2. God tells me how he’s going to do it. Too often leaders skip this step. When God gives them a vision, they move on quickly to how they’re going to do it. They come up with their own strategy and their own plans. Then they fall on their face and come crawling back to him. 3. God tells me when he’ll complete it. The longer I’m a Christian, the more I’m convinced that God’s timing is absolutely perfect. The week before Easter of 1980, during our final preview service at Saddleback before launching the next week, I shared what God had showed me about the church’s future. But when I shared that vision, I had no idea how or when it would happen. I certainly had no idea it would take nearly 13 years before Saddleback had land of its own. In fact, we were the first church in America to grow to more than 10,000 in weekly attendance without a building of its own. That wasn’t my timing, but it was God’s. Nearly all of the pastors I’ve known who lead healthy churches have gone through seasons of burnout when they’ve had to learn that their vision for the church was from the Holy Spirit, not their own ego. I came to that point at the end of my first year at Saddleback. My vision for the second year of this church was simple: Hang on. I was out of big dreams. I just wanted to keep going. I had two particularly haunting doubts during that time. Saddleback was growing fast, and I didn’t believe I deserved it—and I didn’t think I could handle it. The truth is, God had a few important lessons for me to learn. Out of that period, God told me, “You’re right. You don’t deserve it. But I use you by grace.” Grace is the fact that God knows everything I’m going to do in the ministry, every mistake I’m going to make, but he still uses me anyway. That’s good news. So whatever vision God gives you for your ministry, hold it loosely. For nearly 40 years, I’ve prayed over and over again, “God, if I’m getting in the way of this church, I’m willing to move.” The vision for Saddleback has never been mine. In the same way, the vision for your church belongs to God. Connect with an Auxano Navigator to learn more about creating a Vision Pathway for your church. I’ll give you an example of what I mean. A few years ago, I preached a sermon series on Psalm 23. It turned out to be a great evangelistic series. In fact, 446 people gave their lives to Christ during the seven-week series. But here’s the thing: I started collecting material on Psalm 23 back when I was in college! And so when it came time to preach this series, I had a huge file of information to draw on. I’d been thinking about the topics in Psalm 23 for years, so I don’t believe it was accidental that God used the series so effectively. When I’m preparing a sermon, I always find verses that I can use in other sermons. Maybe I’m studying for a sermon on marriage, but then I find a great verse on parenting. I know that someday I’ll preach on parenting, so I file that verse in a folder on parenting. 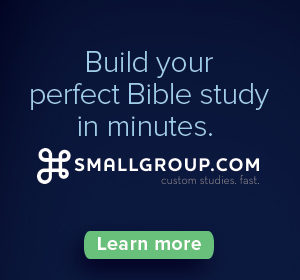 If you do this, it won’t take long to develop your own topical concordance of verses. I use verses that I’ve found during sermon prep and also in my quiet times. Be on the lookout for insightful quotes that might fit into a sermon theme. Great quotes are everywhere. Maybe you’ll find one in something you’re reading. Maybe you’ll get it from a podcast or a video. Statistics work the same way. When you come across these things, save them. It’s always easier to save it for later than to try finding it when you’re preparing a sermon. Part of my research includes searching Amazon for books related to the sermon topic. I want to see what people are writing on the topic of my sermon. I search by keywords related to the sermon theme, and I particularly look at the titles and tables of contents. You don’t have to buy the books, of course. Sometimes I just print out the title and table of contents for later use. Then I can order the book, look for it at the library, or use the table of contents as a guide. Keep looking for newspaper and magazine articles that illustrate what you plan to preach on, even if that’s in the future. 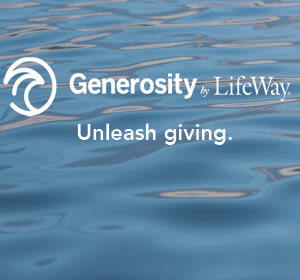 You might see a story about someone’s generosity that’ll work great in your next sermon on giving. Or maybe it’s an article that talks about problems that people face today, like addictions, loneliness, or fear. If you stay on the lookout for illustrations when you’re reading, you’ll be surprised at how often you find something—even the very week you need it. We get helpful stories or illustrations sent to us all the time, right? They’re in emails and letters from people in our congregations. Maybe they give some insight into what you’re about to teach. Or maybe they ask questions that a lot of other people are asking. People probably tell you what happened when they first started tithing or how a small group changed their lives. These are great illustrations when you talk about giving or the importance of fellowship. Collecting this material will give you research right at your fingertips for now and in the future. And it will add to the effectiveness of your sermons. Every church goes through plateaus—times when your church simply doesn’t grow. It’s natural and normal, and they’re part of our story at Saddleback. Our plateaus have looked different at times, but they’ve been there. In fact, a decade ago we were in the midst of one such five-year plateau. But then God did what only he can do. Today we’re going through a renewed period of growth. In nearly 50 years of ministry, I’ve talked with thousands of pastors going through their own periods of plateau. I’ve studied the issue extensively. Here’s what I’ve learned. Don’t get freaked out by them. Plateaus are just a state of little or no change. Everything stops growing at some point. It happens all of the time in nature. It shouldn’t surprise us when it happens in our churches. It will happen in our churches. You can count on it. 2. God created every organism to have a maximum limit on its growth. Even redwood trees, which grow to 400 feet tall and live for 2,000 years, have a growth cap. Your church does, too. You can’t use it as an excuse, though. You don’t know what the limit for your church is. I know a church of 150 in a town of 1,500. They’ve reached 10 percent of their community. Think about it. This church is actually doing a better job of reaching its community than many larger churches. 3. The younger and smaller you are, the faster your growth rate. You can see this characteristic in human growth, too. We typically grow the fastest when we’re children. By our late teens, we’re done growing. When I started Saddleback, we had one member—my wife, Kay. By the end of the first year, we had around 150 people most weekends. That means we grew by 15,000 percent that first year! But a bigger church can’t do that. The bigger you are, the slower you grow. 4. The average church grows for 15 years, plateaus, and then eventually dies. Not every church does this. Some churches have a longer growth span. Others have a shorter one. But on average, a church will stop growing at 15 years old—unless renewal comes. This is just an average, of course. It doesn’t mean every church will plateau at 15 years and then eventually die. And with renewal, a church will grow. 5. Plateaus can happen anytime. You can plateau in year one of a church or year 40. You’ll typically plateau multiple times in your church’s history. I’ve studied thousands of churches and trained hundreds of thousands of pastors, and I’ve seen a few typical points in which churches stop growing. Churches often plateau at 75 and 150 people. But the hardest to overcome is usually 300. If you can get past 300 people, you’ll likely have solved many of your most difficult problems. The larger your church gets, the easier it will get to break plateaus because you will have developed the skills needed through earlier growth and plateau cycles. 6. Some plateaus are uncontrollable. You may be the greatest leader since Abraham Lincoln and still go through a plateau. 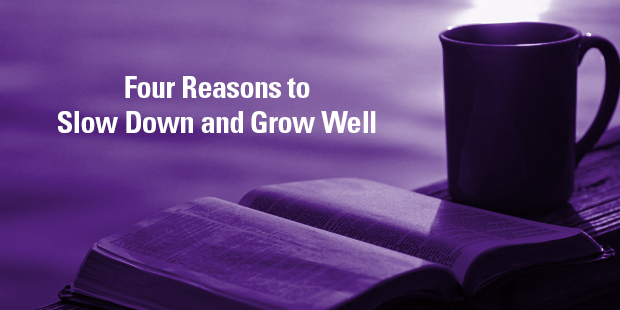 You simply can’t control all of the factors that cause your church to stop growing. For instance, if you’re in a typical small town and a large factory closes and the members move away, that’s not your fault. You’re not a failure. It’s just a fact of life. 7. Plateaus can happen in one purpose while you’re growing in the other purposes. If you’ve been reading Ministry Toolbox for a while, you know the five purposes of the church: worship, fellowship, discipleship, ministry, and evangelism. You can certainly grow in one of those areas as you’re plateauing in another. You could be bringing people in the front door but sending them out the back door. To be healthy, you need to do all of the purposes. 8. The longer a church is plateaued, the more energy it takes to get it growing again. It’s a matter of momentum. It’s clearly easier to keep an active object moving than to get a static object to move. If your church hasn’t grown for the past six months, or a year, you’ll have challenges as you try to restart growth. If it has been five years, you’ll have a bigger challenge. If your church has been plateaued for 20 years, you’ll have a real problem. It’s not impossible though. With God’s help, you can break through it. But it’ll be more difficult. 9. Some plateaus are actually seasons. Every church goes through seasons in its life. Everything grows during springtime. You start harvesting in the fall. Then winter comes along. It’s cold. It’s dark. The days are shorter. Your ministry may be in the winter right now. Hang on. Springtime’s coming. It may be just a season. 10. A plateau doesn’t have to be a dead end! It can be a gateway to the next level. Growing churches have figured out how to break through the inevitable growth barriers that come along. You can break them, too. Often, once you break through, you’ll experience a new season of growth. We saw this at Saddleback. I mentioned earlier that we hit a plateau between 2005 and 2010, so we made some structural changes. I learned some new skills, and we started growing again. And we’ve grown steadily over the last eight years—sometimes as much as 10 percent a year. I’m confident your church can grow again, too. I believe God will finish what he started in your church. It’s what he does. Just remind yourself of Philippians 1:6: “I am sure that God, who began this good work in you, will carry it on until it is finished on the Day of Christ Jesus” (GNT). > Read more from Rick here. If we don’t begin, continue, and end with the Holy Spirit, we’ll never finish the task before us. We can’t finish the task without the power of the Holy Spirit. The Spirit’s presence is what makes us different from every other organization. No business or government has the Holy Spirit, but we do. In Acts 1:8 Jesus tells us, “You will receive power when the Holy Spirit comes upon you. And you will be my witnesses, telling people about me everywhere—in Jerusalem, throughout Judea, in Samaria, and to the ends of the earth” (NLT). The Holy Spirit gives us his power for evangelism, to share the message of the Gospel. We’ll never finish the task of reaching the unreached without supernatural power. If we don’t have supernatural power, let’s just close up shop. Nothing we do on behalf of the unreached will get done. 2. We must use every available communication channel. If we’re going to reach people without any other access to the Gospel, we must employ saturation evangelism. We can’t leave any options that work off the table. In Acts 2, these early Christians spoke in different tongues. The people in Jerusalem on Pentecost came from countless nations. The apostles couldn’t have communicated with them using just one language, so the Holy Spirit enabled them to speak in the heart languages of the people to whom they were preaching. We won’t finish the task unless we speak in the heart languages of those we’re engaging. We need each other to do this because it’s not just about reaching people who speak different languages. It’s about using multiple channels to reach people with different backgrounds, interests, and experiences. Your church might need to partner with another church with experience speaking into a rural community or an urban one. Or maybe you need help speaking the language of art, music, or accounting. No channel should be off-limits. Our task is too important and our mission too urgent to quibble over methods. 3. We must use everyone’s spiritual gift. We can’t just depend on those with the gifts of evangelism or prophecy. To finish the task before us, we need 100 percent participation. There are no spectators in the mission of God. We must mobilize every member in our churches. Everyone can have a role and use their gifts. The church isn’t an audience; it’s an army. To do this, we’ll need a discipleship process that turns attendees into members, members into mature members, and mature members into ministers and missionaries. That’s why we developed the CLASS system at Saddleback. Peter certainly understood this. In his Pentecost sermon, he quotes this passage in Joel: “‘In the Last Days,’ God says, ‘I will pour out my Spirit on every kind of people: Your sons will prophesy, also your daughters; Your young men will see visions, your old men dream dreams. When the time comes, I’ll pour out my Spirit on those who serve me, men and women both, and they’ll prophesy’” (Acts 2:17-18 The Message). The passage mentions sons, daughters, young men, old men, and women. No one should be left behind as we engage the unreached! The church’s mission has always taken the whole church to complete. It still does today. 4. We need to give people the Bible. Our opinions won’t help the unreached. Psychology won’t help them. Western culture won’t save them either. The Bible is what transforms the hearts of people. It’s the truth that sets us free. No other message on planet Earth transforms people into saints. Peter’s sermon on the first Pentecost was full of God’s Word. He pointed to what God was doing in those days and showed how God had prophesied about that unique moment in his Word. As God formed the church out of the 3,000 saved at Pentecost, the church was devoted to the apostles’ teaching. Why was God’s Word so important in the early church? Because you can’t reach the unreached without it. 5. We must demonstrate God’s love by cooperating together. Our greatest witness to the world isn’t our apologetics. It’s how we love one another. The world needs us to show them a different way as we work together to fulfill the task God has given us. Political and denominational barriers shouldn’t divide us in this. That’s why our upcoming Finishing the Task conference is so critical. It’s an opportunity for you to connect with others committed to fulfilling the Great Commission. We’re not in competition to reach the unreached. We’re on the same team. The early church understood this. Acts 2:42 tells us the early Christians “were like family to each other” (CEV). We need to learn from their example. 6. We must go with the spirit of joyful praise. Acts 2:46-47 says, “The believers had a single purpose and went to the temple every day. They were joyful and humble as they ate at each other’s homes and shared their food. At the same time, they praised God and had the goodwill of all the people. Every day the Lord saved people, and they were added to the group” (GW). 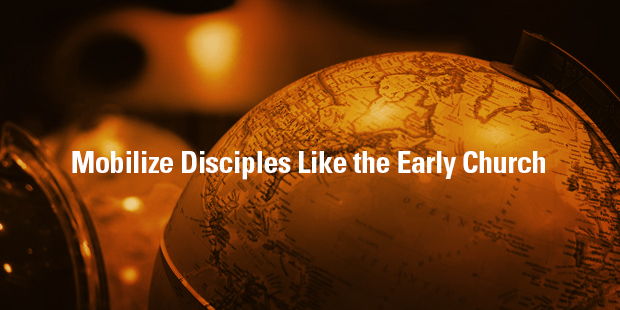 The early church knew that the Great Commission isn’t a task we complete out of duty. It’s a mission we embark on in delight. We don’t tell the world about Jesus in drudgery but out of gratitude because he changed our lives. Worship energizes missions, missions creates more worshipers, and worship creates joy. 7. We must make generous sacrifices. We’ll never finish the task in our spare time. It’ll never be convenient. It’ll take sacrifices. It’s why the early church grew so rapidly. Acts 2:44-45 says, “All the believers were together and had everything in common. They sold property and possessions to give to anyone who had need” (NIV). Think about this a bit. They sold their land and everything they owned to give money to those who needed it. How many people in our churches would do that today? Pastor, your church will become generous when you’re generous. If you want to know the temperature of your church, put the thermometer in your mouth. You don’t grow a generous church by accident. Your church becomes generous when you intentionally build it to be generous. We must teach people in our congregations that the greatest thing they can do is sacrifice for something greater than themselves. 8. We must expect exponential growth. I call this the “faith factor.” When I was still in seminary, I wrote to the 100 largest churches in America and asked them a series of questions. I read every book in print on church growth. At that time, there were about 72 books. I also did more than 120 crusades before I was 20 years old. During this period, I kept notes about what was working in those communities—and what wasn’t. I kept looking for common characteristics. I discovered God uses all kinds of churches and all kinds of methods. Anyone who tells you there is only one way to reach new people is simply wrong. The only common denominator I could find in churches and other organizations God uses in an unusual way is that the leadership isn’t afraid to trust God. Jesus said in Matthew 9:29, “According to your faith let it be done to you” (NIV). God tells us we get to choose how much God blesses us. When will we finish the task? We’ll do it when enough people believe we’ll finish the task. My dad died a few years back. During the last week of his life, he began dreaming aloud. For that last week, I sat by his bedside just listening to him dream. You learn a lot about somebody listening to their dreams. I never once heard him talk about being a war hero in World War II. I never heard him talk about the books he’d read or the movies he watched. I never heard him talk about fishing, which he loved. More than anything else, he talked about the mission projects he had been on. I’d hear him all the time reliving building projects he had participated in. The night before he died, he was in this dream like state. He became very agitated and kept trying to get out of bed. Every time he’d try, Kay would tell him, “Jimmy, you can’t get out of bed. Whatever you need, just tell us. We’ll get it for you.” He still did it over and over again. He could barely stand up though. Then my dad started saying, “Got to save one more for Jesus. Got to save one more for Jesus.” He said it over and over in front of my wife, my niece, and myself. As I sat by my father’s bed, tears ran down my cheeks. I thanked God for a heritage of a father like that. I intend for that to be the theme for the rest of my life. It’s why I am committed to the very core to finishing the task of reaching all of the unreached people groups around the world. There is nothing more important than bringing God’s lost children back to him, building them up to maturity, training them for ministry, and sending them out on mission. I decided a long time ago I didn’t want to waste my life. I’m addicted to seeing God change lives. I hope you are, too. That’s why we’re going to finish the task before us. And I hope you’ll attend the upcoming Finishing the Task conference at Saddleback. Together, let’s reach one more for Jesus. How Do Groups Fit into the Overall Strategy of Your Church? I’m often asked, “Is there any single common denominator that you can find in every growing church?” I have studied churches for many years, read about them, and visited them. I’ve discovered that God uses all kinds of churches, in all kinds of different ways, all different methods and styles. But there is one common denominator that you can find in every growing church regardless of denomination, regardless of nationality, and regardless of size. That common denominator is leadership that is not afraid to believe God. It’s the faith factor. Nothing starts happening until somebody starts dreaming. Every accomplishment started off first as an idea in somebody’s mind. It started off as a dream. It started off as a vision, a goal. If you don’t have a goal for your church, your default goal is to remain the same. If you aim at nothing, you’re definitely going to hit it. A church without a vision is never going to grow, and a church’s vision will never be larger than the vision of its pastor. So you as a leader and as a pastor, must have God’s vision for your church. The very first task of leadership is to set the vision for the organization. If you don’t set the vision, you’re not the leader. Whoever is establishing the vision in your church is the leader of that particular church. A church will never outgrow its vision and the vision of a church will never outgrow the vision of the pastor. If I’m smart I can always compensate for my weaknesses. I can always hire people to do things or delegate to volunteers the things that I can’t do. If I’m not good at counseling, I can find people who are good at counseling. If I’m not good at administration and details, I can find people to handle administration and details. But there is one thing I cannot delegate. I cannot ask other people to believe God for me. I have to set the pace in terms of vision, in terms of dreams, in terms of faith, in terms of what God wants to do in our lives and in our congregation. You cannot delegate faith in God. So you need to ask yourself this question, “What would I attempt for God if I knew I couldn’t fail? Let that expand your horizons. Let it expand your dreams. Expand your vision. It starts with a dream. There are three parts to getting God’s vision for your ministry. And God will say to you, “No, you didn’t. You just didn’t wait for part two. I told you what I was going to do but you didn’t wait to find out How I was going to do it.” When God shows you how it always seems to be the opposite way that you thought. And once you see the What and the How you’re still not finished. There’s a third part of the vision. God shows you When. The longer that I’m alive and the longer I walk with the Lord and the longer I’m in ministry the more I’m convinced that God’s timing is perfect. He is never a minute early, He is never a minute late, He is always right on time. 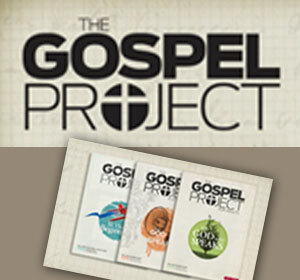 These are the three parts to getting God’s vision – What, How and When. And you must wait for all three parts for God to work in your life. When I started Saddleback church, I didn’t envision the enormous campus and the big building we now have. In fact, I’m not a very visual thinker. Some people can see it. They’re like artists and they can visualize the church buildings when they’re all finished and they can see exactly what it’s going to look like in their mind. I’ve never been that kind of person. I have what I call Polaroid vision. Have you ever taken a Polaroid picture? You take it and the longer you look at it the clearer it gets. That’s true in my life. When I first started Saddleback I didn’t know what it was going to end up like. All I knew was that God had called me to this spot and I had a bunch of ideas in a bag and I wanted to build it on the five purposes of God. As I have walked with the Lord and worked with the Lord over the years, the vision has gotten clearer and clearer. God uses the person who has a dream. Connect with an Auxano Navigator to learn more about discovering your church’s unique vision. Your most important job as a church leader isn’t to hire and fire. It isn’t to manage a budget. It isn’t to mentor younger leaders. It’s not even to preach. All of those tasks are important. They’re part of what you do as a church leader. But your main job as a leader is to remind your congregation continually of your church’s vision. Everything else you can delegate. You can’t delegate vision. Proverbs says, “Without a vision, the people perish.” You have a lot riding on the vision you communicate to your church. Communicating vision get harder and harder—and much more important—as your church grows. I saw this firsthand at Saddleback. If you’ve heard the story of Saddleback, you know I shared a vision for the future of the church during our trial run, a week before our official launch. At first, it was relatively easy to keep the church focused on the vision. When we were small, the only people who came were non-Christians. They had zero expectations about what church should be like. All they knew was Saddleback. We didn’t have a children’s ministry, a youth ministry, or a music ministry. The people who wanted all of those programs went somewhere else. Those who came to Saddleback largely followed the vision we set in that initial service. At that point, I had to become very intentional about how I communicated the vision. Yes, you should do a vision message (or even better, a series of messages) once a year. But that shouldn’t be all your church hears about your church’s vision. If I had only communicated the church’s vision annually, we’d be a different church today. Churches need more than just a once-a-year infusion of vision. They need constant reminders about what the church is all about. When you don’t regularly refocus your church around a shared vision, you’ll slowly find your church experiencing vision drift. You may have, at one time, shared a compelling vision with your congregation that everyone rallied around. But as other people came on board, your church incorporated other elements into the original vision. It doesn’t take long before the vision becomes unrecognizable from the original. That’s why your number one job as a leader is to communicate the vision of your ministry. Whether you’re the senior leader who must communicate your vision to the entire church or a leader of a specific ministry who must regularly keep that ministry’s vision in front of the people, vision-casting is your most important responsibility. Because organizations, churches included, naturally experience vision drift, the best leaders aren’t necessarily the most charismatic. The best leaders are the ones who keep organizations moving forward together toward the mission. Over the past 38 years at Saddleback, I’ve leaned on some specific methods to keep the vision in front of our church family. Here are six of the most important. 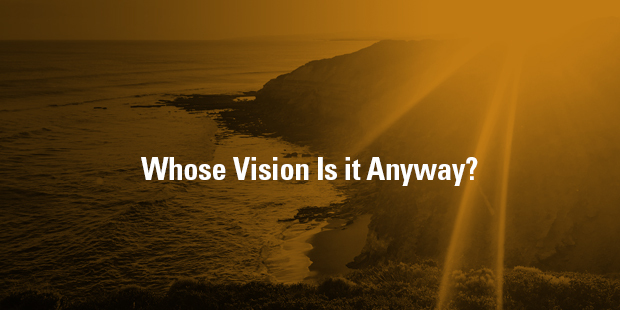 Your church needs to realize that its vision doesn’t come from your whims. It’s centered on what the Bible teaches about the church. Every part of your church’s vision needs to be supported by Scriptures that explain and illustrate your reason for doing it. Let people see how blessed they are to have the church, the body of Christ. Help your members to develop a high respect for the family of God—and his purposes for the church. Part of reminding your congregation about the church’s vision is to continually put before them the activities that will help the church achieve the vision. If part of your vision is to help people build meaningful relationships in your church, remind your people of the vision as you encourage them to get involved in small groups. If part of your vision is to be involved in local and global missions, regularly communicate opportunities for them to participate in missions. Some say 65 percent of people are visual learners. It could even be higher than that. Regardless, people need visual representations of your vision to help them grasp it. Symbols can paint powerful pictures that words alone can’t do. At Saddleback, we’ve used a diamond shape and a series of concentric circles to describe the church’s vision and purposes. I’ve seen other churches use racetracks, mountains, rivers, and soccer fields. Each of these communicated the vision of the church within a specific context of ministry. People will remember slogans long after they’ve forgotten your sermons. Many key events in history have hinged on a slogan: Remember the Alamo! Sink the Bismarck! I shall return! Give me liberty or give me death! History proves that a simple slogan, repeatedly shared with conviction, can motivate people to do things they would normally never do—even to give up their lives on a battlefield. We’ve used dozens of slogans at Saddleback to help communicate the church’s vision (such as “every member is a minister” and “all leaders are learners”). Take some time to go through your vision with an eye for easy-to-communicate slogans that describe parts of your vision. Jesus frequently used stories to help people relate to his vision. Stories help people personalize and dramatize your vision. I try to regularly include testimonies (delivered in person and through letters) from people who are regularly living out the vision and purposes of the church. Those illustrations help people at our church understand what it looks like to demonstrate Saddleback’s vision. It also makes heroes out of the people who do the work of the church. People tend to do whatever is rewarded. Brag on your church’s heroes. Tell their stories. Provide concrete actions that explain how you’ll achieve your vision. Plan programs around it. Hire staff around it. Remember that nothing becomes dynamic until it becomes specific. When a vision is vague, it holds no attraction. The more specific your church’s vision is, the more it will grab attention and attract commitment. Vision drift is natural. Do nothing and your church will drift from the vision, no matter how compelling it is. If you don’t purposefully and consistently refocus your church around a singular vision, your church will become something quite different. 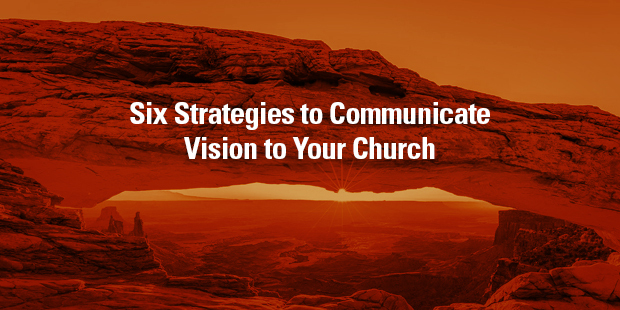 Lean on these six strategies to communicate your church’s vision to the congregation. Be creative. Add to these ideas. Do whatever it takes to focus your people around a shared biblical vision. That’s what true leadership is all about. > Connect with an Auxano Navigator to learn more about communicating your vision. God wants you to grow up. “God wants us to grow up, to know the whole truth and tell it in love – like Christ in everything” (Ephesians 4:15 The Message). “We are not meant to remain as children ….” (Ephesians 4:14 Phillips). Your heavenly Father’s goal is for you to mature and develop the characteristics of Jesus Christ, living a life of love and humble service. Sadly, millions of Christians grow older but never grow up. They are stuck in perpetual spiritual infancy, remaining in diapers and booties. The reason is because they never intended to grow. Discipleship – the process of becoming like Christ – always begins with a decision. “As Jesus passed on from there, he saw a man called Matthew sitting at the tax booth, and he said to him, ‘Follow me.’ And he rose and followed him” (Matthew 9:9 ESV). When the first disciples chose to follow Jesus, they didn’t understand all the implications of their decision. They simply responded to Jesus’ invitation. That’s all you need to get started: decide to become a disciple. Nothing shapes your life more than the commitments you choose to make. Your commitments can develop you or they can destroy you, but either way, they will define you. Tell me what you are committed to, and I’ll tell you what you’ll be in 20 years. We become whatever we are committed to. It is at this point of commitment that most people miss God’s purpose for their lives. Many are afraid to commit to anything and just drift through life. Others make half-hearted commitments to competing values, which leads to frustration and mediocrity. Others make a full commitment to worldly goals, such as becoming wealthy or famous, and end up disappointed and bitter. Every choice has eternal consequences, so you’d better choose wisely. “Since everything around us is going to melt away, what holy, godly lives you should be living!” (2 Peter 3:11 NLT). Christlikeness comes from making Christlike commitments. You must commit to living the rest of your life for the five purposes God made. Jesus summarized these purposes in the Great Commandment and the Great Commission. will make you a great Christian. Once you decide to get serious about becoming like Christ, you must begin to act in new ways. You’ll need to let go of some old routines, develop some new habits, and intentionally change the way you think. “Continue to work out your salvation with fear and trembling, for it is God who works in you to will and to act in order to fulfill his good purpose” (Philippians 2:12 NIV). This verse shows the two parts of spiritual growth: “work out” and “work in.” The “work out” is your responsibility and the “work in” is God’s role. Spiritual growth is a collaborative effort between you and the Holy Spirit. God’s Spirit works with us, not just in us. This verse, written to believers, is not about how to be saved, but how to grow. It does not say “work for” your salvation, because you can’t add anything to what Jesus already did! During a physical workout, you exercise to develop your body, not to get a body. When you “work out” a puzzle, you already have all the pieces – your task is to put it together. Farmers work the land, not to get land, but to develop what they already have. God has given you a new life; now you are responsible to develop it “with fear and trembling.” That is to take your spiritual growth seriously, because it will determine your role in eternity. When people are casual about their growth in Christlikeness, it shows they don’t understand the implications. “Be careful how you think; your life is shaped by your thoughts” (Proverbs 4:23 GNT). Imagine riding in a speedboat on a lake with an automatic pilot set to go east. If you decide to reverse and head west, you have two possible ways to change the boat’s direction. One way is to grab the steering wheel and physically force it to head in the opposite direction that the autopilot is programmed to go. By sheer willpower, you could overcome the autopilot, but you’d feel constant resistance. Your arms would eventually tire of the stress, you’d let go of the steering wheel, and the boat would instantly head back east, the way it was internally programmed. This is what happens when you try to change your life with willpower: You say “I’ll force myself to eat less. . .stop smoking. . .quit being disorganized and late.” Yes, willpower can produce short-term change, but it creates constant internal stress because you haven’t dealt with the root cause. The change doesn’t feel natural. Eventually you give up, and go off the diet. There is a better and easier way: Change your autopilot – the way you think. “Let God transform you into a new person by changing the way you think” (Romans 12:2 NLT). Your first step in spiritual growth is to start changing the way you think. Change always starts first in your mind. The way you think determines the way you feel, and the way you feel influences the way you act. “Let the Spirit renew your thoughts and attitudes” (Ephesians 4:23 NLT). To be like Christ you must develop the mind of Christ. The New Testament calls this mental shift “repentance,” which in Greek literally means “to change your mind.” To repent means to change the way you think – about God, yourself, sin, other people, life, your future, and everything else. You adopt Christ’s outlook and perspective on life. “In your relationships with one another, have the same mindset as Christ Jesus” (Philippians 2:5 NIV). There are two parts to thinking like Jesus. The first half of this mental shift is to stop thinking immature thoughts, which are self-centered and self-seeking. Babies, by nature, are completely selfish. They think only of themselves. That is immature thinking. “Those who are dominated by the sinful nature think about sinful things” (Romans 8:5 NLT). “Stop thinking like children. In regard to evil be infants, but in your thinking be adults” (1 Corinthians 14:20 NIV). The second half of thinking like Jesus is to start thinking maturely, which focuses on others, not yourself. In his great chapter on what real love is, Paul concluded that thinking of others is the mark of maturity: “When I was a child, I talked like a child, I thought like a child, I reasoned like a child. When I became a man, I put the ways of childhood behind me” (1 Corinthians 13:11 NIV). 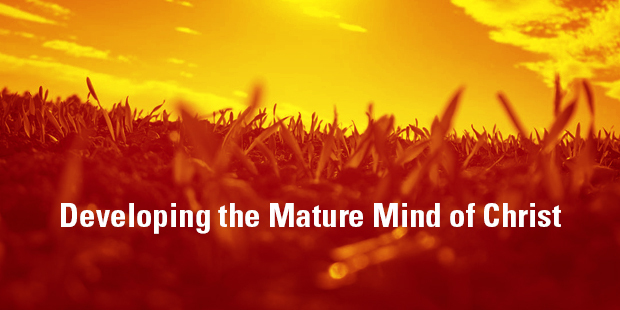 Today, many assume that spiritual maturity is measured by how much biblical knowledge and doctrine you know. While knowledge is one measurement of maturity, it isn’t the whole story. The Christian life is far more than creeds and convictions; it includes conduct and character. Our deeds must be consistent with our creeds and our beliefs must be backed up with Christlike behavior. “We should think of their good and try to help them by doing what pleases them” (Romans 15:2 CEV). Don’t be selfish; don’t try to impress others. Be humble, thinking of others as better than yourselves. Don’t look out only for your own interests, but take an interest in others, too” (Philippians 2:3-4 NLT). Thinking of others is the heart of Christlikeness and the goal of spiritual growth. This kind of thinking is unnatural, countercultural, and rare. The only way we will learn to think this way is by filling our minds with the Word of God. 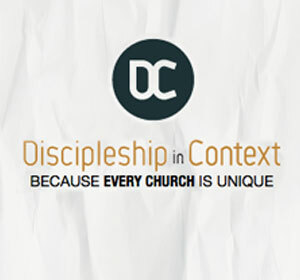 Connect with an Auxano Navigator to learn more about developing a discipleship process.